Event – refers to the Canterbury Cricket Event, being an official Club event held on a match day and those held on non-match days. For the purpose of clarity, “Event” also refers to the match day itself. Facility – refers to a marquee within a host venue. Client – refers to the person, persons, or company purchasing into the “Event”. 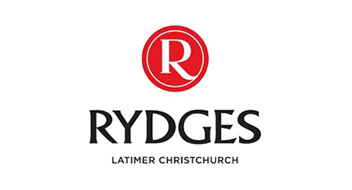 Host Venue – refers to any venue within Canterbury and New Zealand where official Canterbury Cricket matches or Canterbury Cricket Events are held. Booking form – refers to the online booking form for Canterbury Cricket Events and Canterbury Cricket Hospitality. Payment Plan – Canterbury Crickets Entertainment Packages Shop provides the option to pay for their Membership by direct bank transfer or Credit Card/PayPal. All major credit cards are accepted but surcharges do apply. All event and facility payments must be paid in full. No event or facility ticket/package is confirmed until full payment has been received. Tickets will not be released until full payment has been received. No event or facility/package cancellations can be made once payment has been received. Tickets cannot be transferred to an alternate event day. Canterbury Cricket may cancel the event at its discretion or offer alternative dates or venues without notice. Where Canterbury Cricket cancel the individual or group booking, Canterbury Cricket may refund the fee in part or in full at Canterbury Crickets absolute discretion. Once Host Venue gates/doors are open on the day of the event to which this booking relates, all bookings will go ahead. Canterbury Cricket or New Zealand Cricket will decide if a match day is to be cancelled or delayed due to poor weather. If poor weather causes a cancellation decision after the gates are opened on the original event day, the booking will still apply. Canterbury Cricket is under no obligation to supply additional event or facility tickets or related catering. The Client agrees to abide by any rules of the Host Venue at which the booking has been purchased, including but not limited to, behaviour, smoking and the consumption of alcohol and any relevant legislation, policies or guidelines. The Client agrees to follow any instruction reasonably given by personnel of the Host Venue, relevant authorities, or Canterbury Cricket. You acknowledge that Canterbury Cricket is entitled, without incurring any liability whatsoever, to refuse admission or cause to be removed from the Host Venue premises, any person guilty of misconduct or committing any breach of the Conditions of Entry or the Host Venue Conditions of Entry. Where Canterbury Cricket is required to close a facility, or remove guest/s from a facility, you will have been deemed to have breached this booking and the full amount of the booking will be retained by Canterbury Cricket and Canterbury Cricket will not be liable for any loss or damage to you or your guests as a result of any action taken.